It’s my birthday month, so it seems fitting to birth a brand new name for this brand new website! Please update your bookmarks to www.catmanasa.co.uk as that’s where my therapy work will be from now on. You’ll still be able to access this website using www.cathawkins.co.uk for the time being. I am hoping to update my Facebook page, Cat Hawkins Soul Medicine, to tie in with the website soon. You find all the same type of posts, lots of creative ideas, spiritual living tips and articles on health. Along with more about the menstrual cycle, abdominal health and the therapies I offer. Nothing much will change there apart from updating more often. The name Manasa revealed itself to me recently. My ancestry is Anglo Indian and Mannas was my Great Great Grandmothers maiden name. In looking at the variations of the name and spelling, Manasa, jumped out at me. A quick google search revealed Manasa, an ancient, Indian folk Goddess. 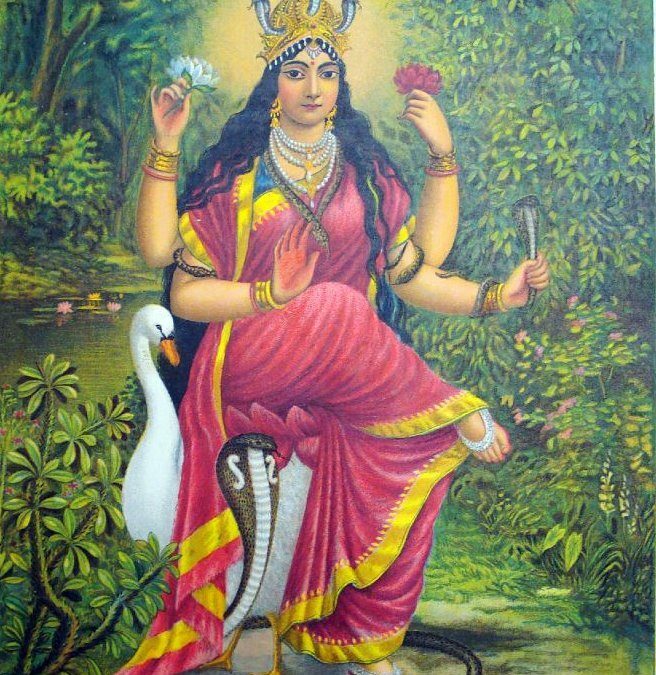 Manasa’s symbols are the snake and swan. I have always had an affinity for both creatures, particularly the snake, serpent. She is Queen of Snakes and helps to protect against snake bites and poisons. She is a protector of children and brings fertility and protection to those that worship her. Manasa has an affinity with water and lotus flowers. She is often pictured with a child, protected by a cobra. The snake is a very important symbol in so many cultures. To me, snakes are transformative, healing, earthy and connected to the underworld. Our very own symbol of medicine, the caduceus, pictures two snakes wrapping round a staff. Manasa, has come to me before. By a river. At that time the name given was Padma. I now know that Manasa and Padmavarti are names often given to the same goddess. It’s taken a very long time to find a name that fits, feels right and has some meaning to me. I’m looking forward to bringing my work out into the world. May Manasa, the Ancestors and Spirit Guides help and guide me in this exciting new venture! You know that the entwined nagas around the caduceus, equate to the psychic energy currents Pingala and Ida, that in Yogic lore wrap themselves around the Shusumna? And that at the top, what we might call Knef, the winged sun-disc of ancient Egypt, equates to Shahasrara, the thousand-petalled lotus signifying the highest chakra? Thousand-feathered swan wings, though… never thought of that. Anyway, Cat, good and auspicious symbols, and divine patron. Under them, may you prosper.